U2 frontman Bono described Apple's iPod in 2004 as "the most interesting artistic creation in pop since the electric guitar." 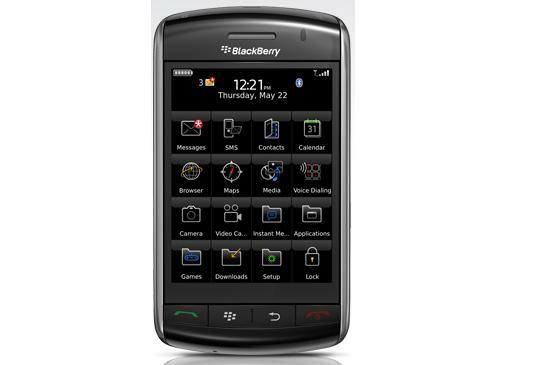 RIM's BlackBerry Storm: U2 could own one. U2 frontman Bono described Apple's iPod in 2004 as "the most interesting artistic creation in pop since the electric guitar." The band built heavy ties with Apple, appearing live onstage with Steve Jobs and in Apple TV ads performing the hit single "Vertigo." Apple sold U2 iPods and made the band's entire opus available as a one-click download in the iTunes Store. Steve Jobs, known for not touching people, hugged Bono onstage. But the band's homepage at U2.com now features a prominent namedrop for a different gadget: BlackBerry. The gadget's maker, Research in Motion, is sponsoring the band's summer tour for their new album, No Line on the Horizon. Bono is also a partner in the venture firm Elevation Partners, which owns 39 percent of Palm. So far, no one has been able to answer the question: Did Bono and Steve have a falling out, or did RIM just offer a better deal?